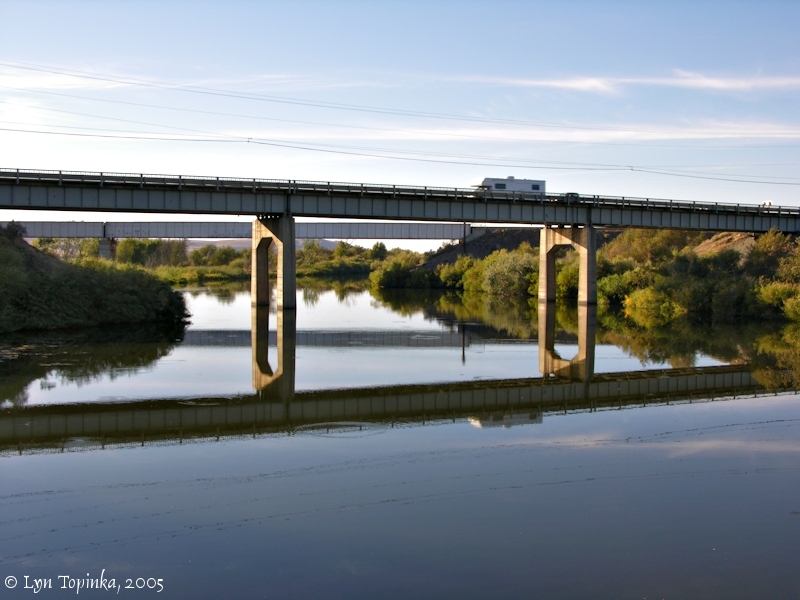 Click image to enlarge Evening, Walla Walla River, Washington: Looking upstream from old road bridge near mouth of the Walla Walla. Image taken September 24, 2005. The Walla Walla River enters the Columbia River at River Mile (RM) 315, ten miles downstream of the Columbia's junction with the Snake River and just upstream of the head of the Wallula Gap. The Walla Walla is located downstream of Wallula, Washington, and upstream of Port Kelley and Spring Gulch. Twenty-one miles downstream is the McNary Dam. 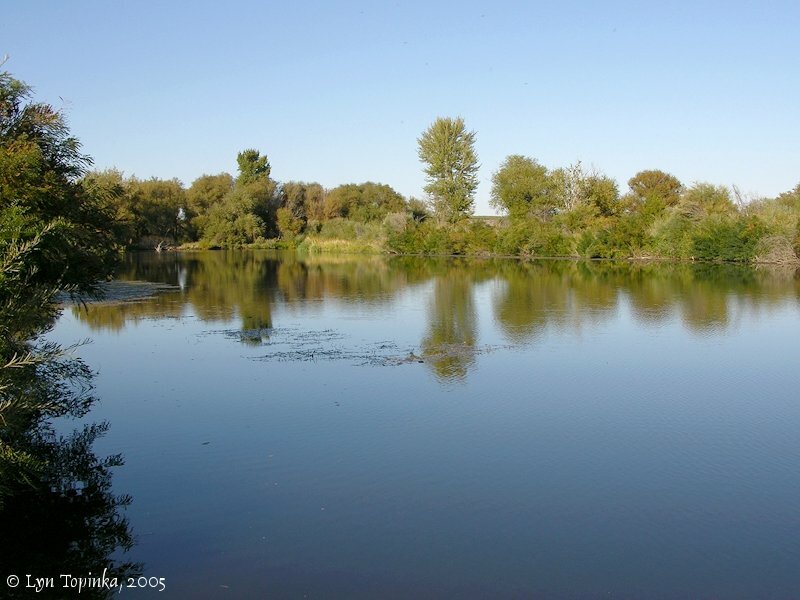 The lower reach of the Walla Walla River is now protected as the Wallula Unit of the McNary National Wildlife Refuge. According to the Columbia Basin Fish and Wildlife Authority website (2004), the Walla Walla River drains an area of 1,758 square miles. Its tributaries originate in the Blue Mountains of southeastern Washington and northeastern Oregon, from which the river flows north and west to enter the Columbia at Lake Wallula, the reservoir behind the McNary Dam. About 73 percent of the drainage lies in Washington State. Elevations in the subbasin range from about 6,000 feet at mountain crests to about 270 feet at the Columbia River. The eastern portion of the drainage lies in steep, timbered slopes of the Blue Mountains within the Umatilla National Forest. The remainder of the drainage consists of moderate slopes and level terrain. 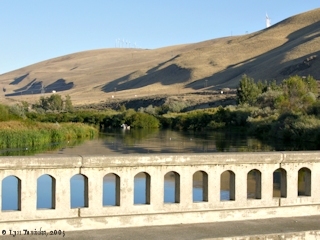 One major tributary to the Walla Walla River is Mill Creek, around which the community of Walla Walla developed. 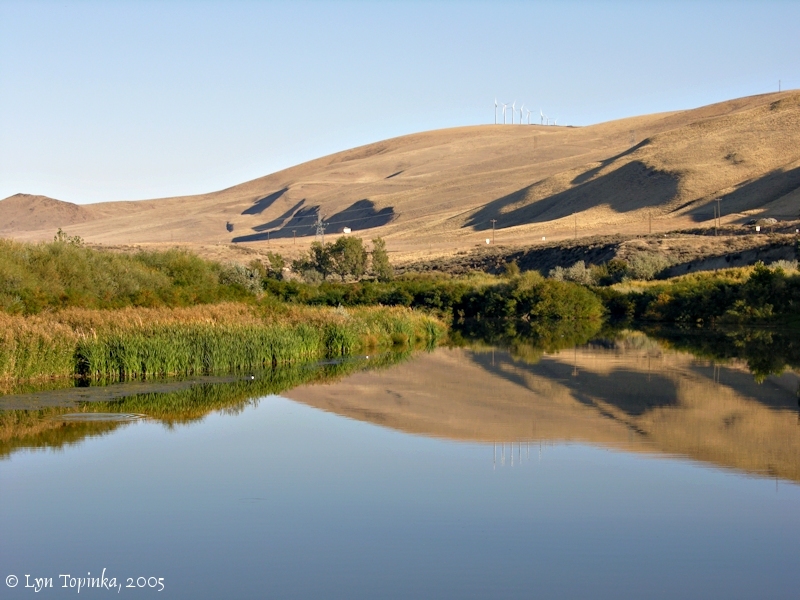 Lewis and Clark passed by the Walla Walla River on October 18, 1805, and referred to the river as a "riverlet". 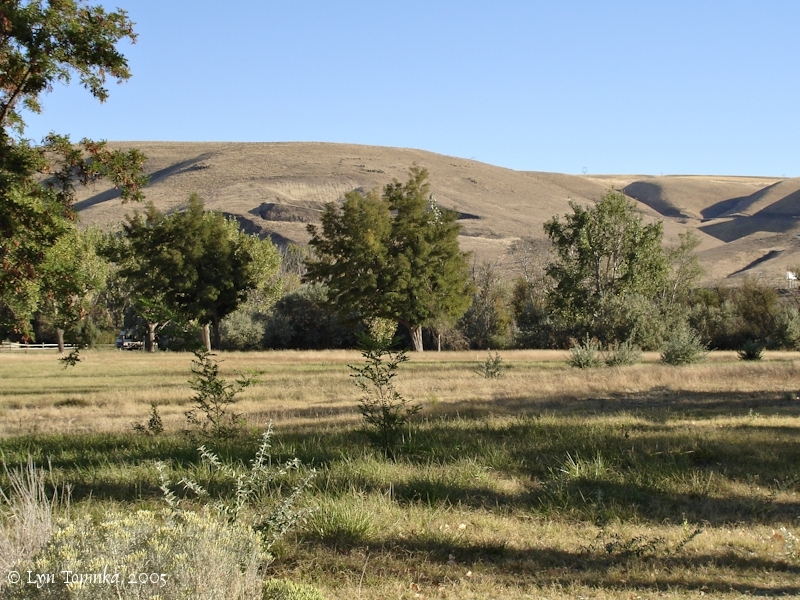 On their return on April 27 and 28th, 1806, Lewis and Clark camped across from the mouth of the Walla Walla near today's Yellepit. 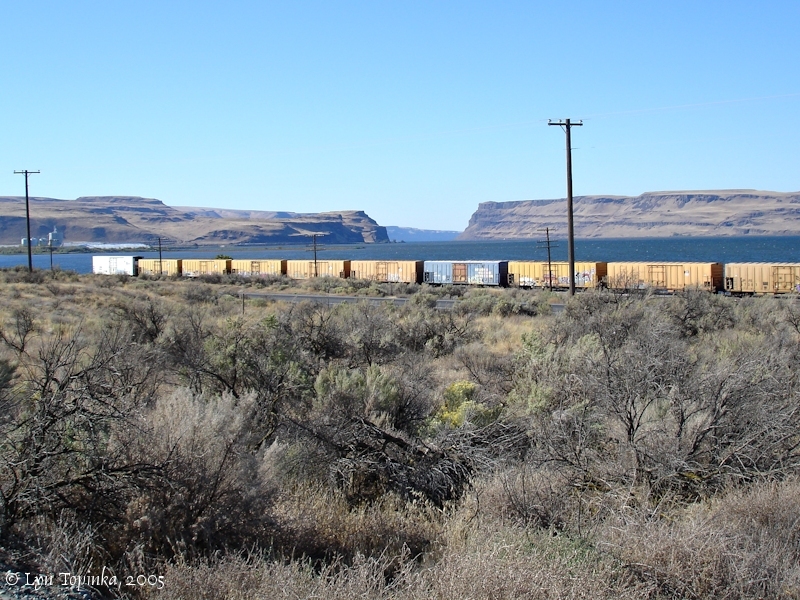 On the 29th they moved across the Columbia to camp on the north bank of the Walla Walla, a spot which is now under the waters of Lake Wallula. Lewis and Clark's camp of April 27 and 28, 1806, was on the north side of the Columbia River near Yellepit, Washington, across from the mouth of the Walla Walla River. 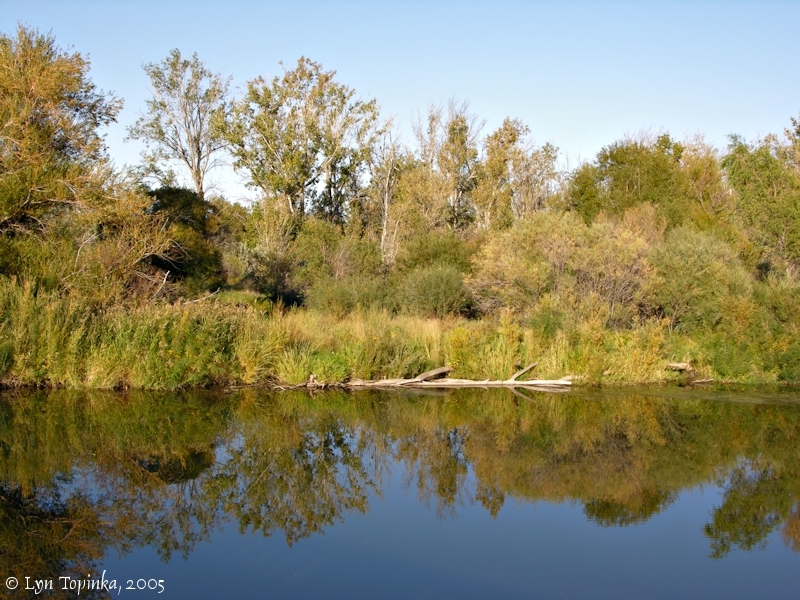 On April 29, 1806, the men crossed the Columbia and camped on the north bank of the Walla Walla River, where they prepared for their journey up the Walla Walla to intersect the Snake River. Today this spot is under Lake Wallula behind McNary Dam. A visitor can view this area from Wallula, Washington, at the Fort Nez Perce/Fort Walla Walla historical sign. Click image to enlarge Wallula Gap as seen from above the Wallula Viewpoint. The confluence of the Walla Walla River with the Columbia River is on the left, just visible behind the Port of Walla Walla. Image taken September 25, 2005. Historians claim there are more than 20 different spellings of "Walla Walla" which exist in early journals and on early maps. According to the Washington Historical Society, in the Sahaptian language, "walla" means "running water" and duplication of a word is the diminutive form, making "Walla Walla" a distortion of the Indian meaning, "small rapid river". 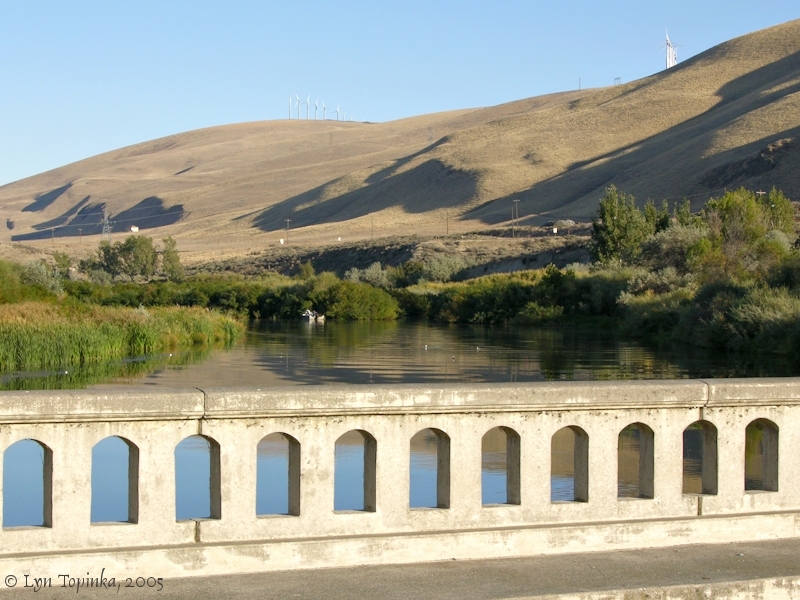 Other historians say the name "Walla Walla" is from a Nez Perce and Cayuse word "Walatsa" which means "running" and probably used in reference to the running waters of the Walla Walla River. Robert Hitchman in Place Names of Washington (1985, Washington State Historical Society) wrote the name is Indian for "place of many waters", and refers to the many tributaries of the Walla Walla River. The U.S. Geological Survey Geographic Names Information System (GNIS) Website (2007) lists eight variations used for the Walla Walla River. These include "Walla Walla", "Wallow Wallows", "Wallow Wallows River", "Wollah Wollah", "Wollah Wollah River", "Wollaw Wollah", "Woller Woller", and "Woller Woller River". Lewis and Clark labeled the river "Wolloh Wolloh R" on their route map [Moulton, vol.1, map#75], and Clark used "Wallah Wallah" in his journal entry of April 29, 1806. Alexander Ross (Adventures of the First Settlers on the Oregon or Columbia River, published in 1849) journeyed upstream on the Columbia River in 1811 and reached the Wallula Gap and the Walla Walla River on August 12th. In 1838 the "Map of the United States Territory of Oregon West of the Rocky Mountains" had the river labeled "Walla Walla R.". 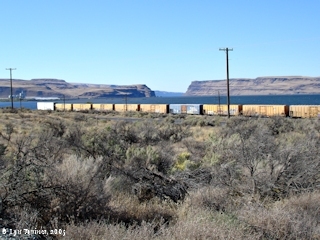 Upstream was "Ft. Nezperces" and downstream the Wallula Gap area of the Columbia River labeled "Gt. Bend.". In 1843 Captain Fremont called the river "Walahwalah". Click image to enlarge Walla Walla River looking towards mouth. View from old Madame Dorion Bridge. Image taken September 24, 2005. 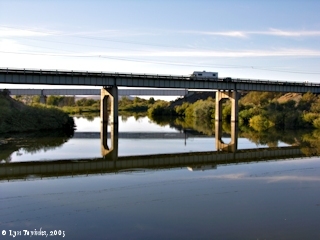 Click image to enlarge Walla Walla River, Washington: Looking upstream from Madame Dorion Bridge, at the Walla Walla River. Image taken September 24, 2005. 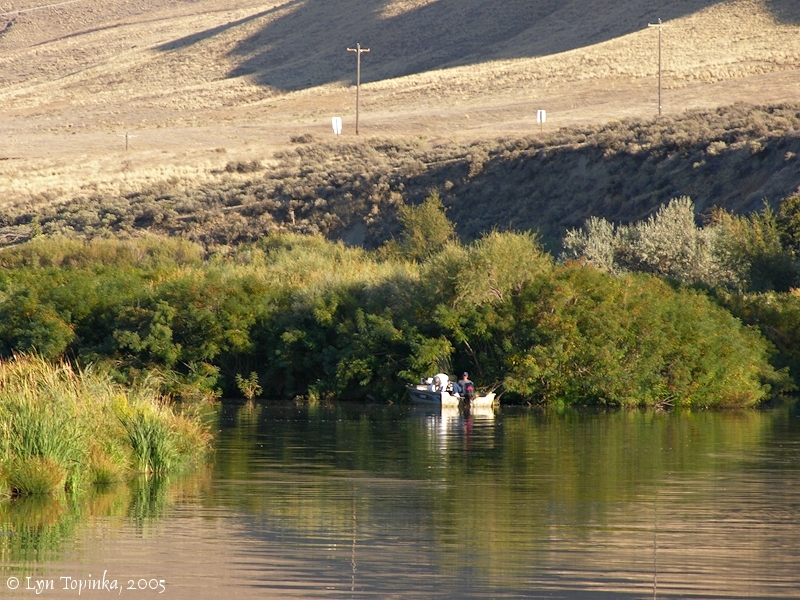 Click image to enlarge Fishing, Walla Walla River, Washington: Upstream view of the Walla Walla River, as seen from Marie Dorion Park, Washington, looking towards the McNary National Wildlife Refuge. Marie Dorion Park is just off of Washington State Highway 12, at Wallula Junction. Image taken September 24, 2005. In 1818 Donald McKenzie of the North West Company established Fort Walla Walla - also known as "Fort Nez Perce" - as a trading post to help control the fur trade from the interior lands of the Pacific Northwest. When the Pacific North West Company merged with the Hudson's Bay Company in 1821, the fort was strengthened and became an increasingly important link in the trade along the Columbia River. 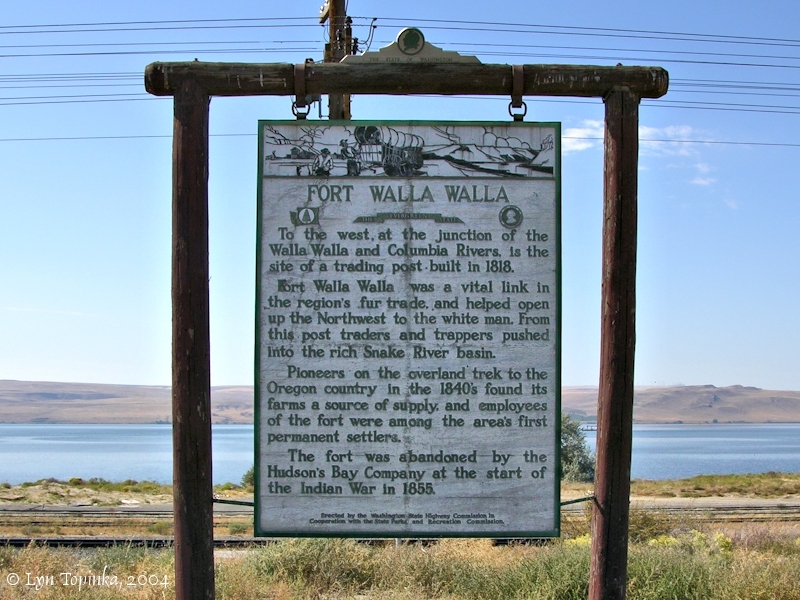 This first "Fort Walla Walla" was located at today's Wallula, Washington. In 1856 "Fort Walla Walla" up the Walla Walla River at the junction of Mill Creek with the Walla Walla River. Three different forts were built there. 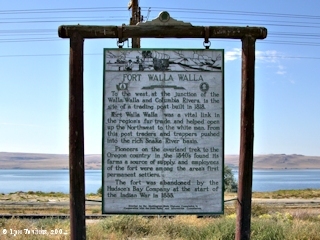 Click image to enlarge Sign for location of the Hudson's Bay Company's Fort Walla Walla along the Columbia River. Image taken September 26, 2004. The Madame Dorion Memorial Park is located on the Walla Walla River near its confluence with the Columbia, at the junction of Washington State Highway 12 and Highway 730. During winter of 1811-1812, an advance party of the first fur traders reached the Columbia River from Montreal, Canada. With them was Marie Dorion, an Iowa Indian, who was the second women to come west overland -- the first being Sacajawea, with Lewis and Clark. The lower reach of the Walla Walla River lies within the Wallula Unit of the McNary National Wildlife Refuge. Click image to enlarge Walla Walla River and McNary National Wildlife Refuge, Washington: Upstream view of the Walla Walla River, as seen from Marie Dorion Park, Washington, looking towards the McNary National Wildlife Refuge. Marie Dorion Park is just off of Washington State Highway 12, at Wallula Junction. Image taken September 24, 2005. 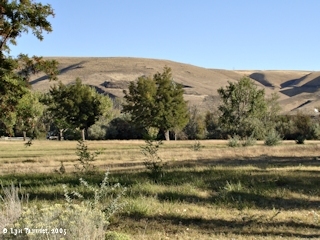 In 1856 a fort for protection against the Indians was built on Mill Creek, near its junction with the Walla Walla River. By 1857 a village evolved around the fort. In January 1859, the Territorial Legislature approved the name "Walla Walla City", and, when the town grew during the 1862 Idaho gold rush, the community was incorporated and platted from the land claim of A.J. Cain. Earlier names for the community were "Steptoeville" and "Steptoe City", for Lieutenant Col. Edward J. Steptoe, who fought in the 1850s Indian wars. The U.S. Board of Geographic Names made "Walla Walla" the official name in 1907. Penny Postcard: Mill Creek near Walla Walla, Washington, ca.1907. Penny Postcard, Postmarked 1907, "Mill Creek near Walla Walla, Wash." Published by M. Rieder, Los Angeles. Made in Germany. Card is postmarked November 28, 1907. Card #1645. In the private collection of Lyn Topinka. Penny Postcard: Mill Creek, Walla Walla, Washington, ca.1910. Penny Postcard, ca.1910, "Scene on Mill Creek, Walla Walla, Wash." The first Fort Walla Walla was built on the Columbia River. In 1856 a fort was built up the Walla Walla River on Mill Creek, near its junction with the Walla Walla River. By 1857 a village evolved around the fort. Published by M. Rieder, Los Angeles. Made in Germany. Card #1636. In the private collection of Lyn Topinka.